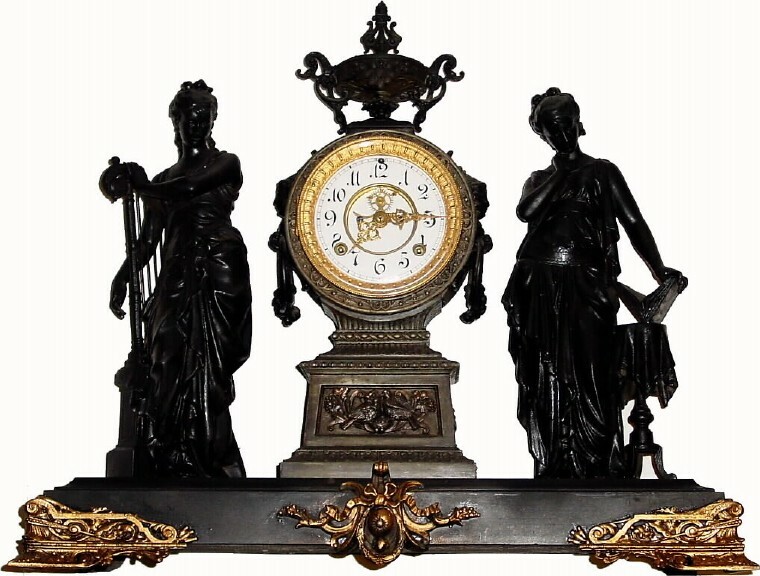 C.1894, Ansonia Clock Co., "Music and Poetry" double statue figural clock, in dirty condition with lots of potential The porcelain dial is perfect along with the beveled glass and open escapement. The hands are original. The movement is signed. The whole clock has a few coats of black paint that need removal and proper finish applied. The metal figures are sound and show no signs of damage or repair. This clock will restore nicely. Height 20 1/2"